With there being so many different factors to consider when it comes to how sustainable our clothes are, and with it being difficult for consumers to tell whether brands are doing what they claim to be doing, it can get overwhelming very quickly. To address this, we can look out for the following certifications and labels that signify fashion brands meeting certain criteria in terms of being more mindful of their business practices. These labels differ from one another in many ways, but each serves its own purpose. Some certify an entire company, whereas others certify a specific product or just one ingredient. Many of them use third party verification, and a few rely on self reporting. Some of them focus on one aspect of production, such as fair pay for factory workers or the elimination of harmful chemicals, whereas others take a more holistic approach. Regardless, being familiar with these certifications can help us become more informed consumers, allowing us to more easily shop based on our personal values. Fairtrade International (and its US partner, Fairtrade America) works with small farmers around the globe. Both producers and traders must meet strict standards, which vary by industry but include things such as fair wages, safe working conditions and supply chain transparency. These standards are audited by a third party called FLOCERT. Fairtrade International certifies products and ingredients. Fair Trade USA carries many of the same standards as Fair Trade International; however, the biggest differentiator is that Fair Trade USA allows larger farms to become certified as well. Fair Trade USA products must not only include labor standards such as fair wages and safety in the workplace, but also certain environmental standards such as the prohibition of GMOs and toxic chemicals. Like Fairtrade International, Fair Trade USA also certifies products and ingredients. The World Fair Trade Organization certifies enterprises, as opposed to specific products or ingredients. The "Guarantee System" of the WFTO was developed by a group of experts in the field of Fair Trade monitoring and verification and the major aspects of the group are credibility, sustainability and robustness of the system. To achieve these three criteria, there are five major components: new membership admission procedure, Self Assessment Report, Monitoring Audit, Peer Visit, and the Fair Trade Accountability Watch (FTAW) accountability watch. The Fair Trade Federation is more like a network than a true "certification;" however, in order to be a member of that network, organizations must meet a strict set of qualifications in the same way they would for a certification. The biggest difference is that members of the Fair Trade Federation are not audited by a third party; rather, their membership is based on self-reporting. Fair for Life is a third party certification that focuses on three primary areas of impact: respect of human life and fair working conditions, respect of the ecosystem and promotion of biodiversity and sustainable agricultural practices, and respect and betterment of local impact. Fair for Life was in part created in order to include certain products and raw materials that other certifications have excluded. Products, ingredients, or materials (like cotton) can be certified by the US government if they meet strict standards in the growing and harvesting process. Certified USDA Organic products cannot be treated with any pesticides, synthetics, fertilizers, hormones, or other types of additives. B Corp certifies entire companies, as opposed to specific products or ingredients. A certified B Corp company is a for-profit organization that uses the power of business to solve social and environmental problems and is doing good in the world in some way. B Corp companies are given a lot of resources to help assess and measure their impact in different social and environmental areas and are regularly subjected to audits. Ethical Clothing Australia (ECA) is an accreditation body working collaboratively with local textile, clothing and footwear (TCF) companies to ensure their Australian supply chains are transparent and legally compliant. It is a voluntary accreditation program which offers practical and affordable assistance to Australian businesses that are manufacturing locally. ECOCERT is an inspection and certification body that specializes in organic agriculture products. 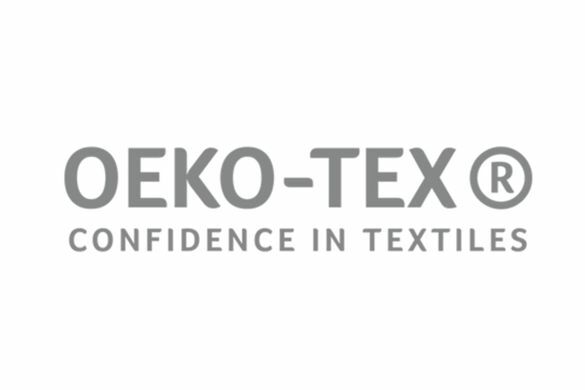 For textiles, an ECOCERT label means the fabric is either GOTS (Global Organic Textile Standard), OCS (Organic Content Standard), or using ecological or recycled textiles (an ECOCERT standard). GOTS stands for Global Organic Textile Standard. It is a global standard for organic fibres, which includes ecological and social criteria and is backed by independent certification of the entire textile supply chain. The standard covers the processing, manufacturing, packaging, labelling, trading and distribution of all textiles made from at least 70% certified organic natural fibres. Fair Wear Foundation is a non-profit organization that works with brands, factories, trade unions, NGOs and sometimes governments to verify and improve workplace conditions for garment workers in 11 production countries in Asia, Europe and Africa. The Cradle to Cradle Certified™ Product Standard guides designers and manufacturers through a continual improvement process that looks at five categories: material health, material reutilization, renewable energy and carbon management, water stewardship, and social fairness. A product receives an achievement level in each category — Basic, Bronze, Silver, Gold, or Platinum. Ethical Trading Initiative is another label that is a membership network rather than an actual certification. ETI's Base Code includes qualifications that protect the liberty, safety, and health of factory workers. In order to become a member of the Ethical Trading Initiative, companies must commit to these standards and submit annual reports. The bluesign® system unites the entire textile supply chain to jointly reduce its impact on people and the environment. bluesign's goal is to link chemical suppliers, textile manufacturers, and brands together to foster a healthy, responsible, and profitable textile industry. Eco-Age is a consultancy whose purpose is to distill know-how, expertise, enthusiasm and talent into client campaigns, strategies and programs that bring real and substantive change. They visit their clients’ suppliers and experience, first hand, the employees’ conditions and environments, making recommendations and working closely with brands and suppliers based on a set of criteria that involves social justice, corporate accountability and environmental stewardship. When that criteria is achieved, they award the Green Carpet Challenge®, which guarantees sustainable excellence. The PETA-Approved Vegan label signifies that the brand has signed PETA's statement of assurance verifying that their product is vegan. PETA's cruelty-free bunny logo similarly reflects that no animals were harmed in personal care and beauty products. Note: Many conscious fashion brands often meet the criteria of the above labels and certifications, but have chosen not to apply for certifications for various reasons, such as cost of getting certified. So, beyond looking out for these labels, it can be helpful to also check the fiber composition of the clothes, read the About page of the brand to see what insights it shares about its supply chain, and get in touch with a brand representative to ask more questions as necessary.